Congenital Diaphragmatic Hernia is the most widely-unknown yet common deadly birth defect. Striking 1 in 2500 babies, CDH is diagnosed as often as Spina Bifida and Cystic Fibrosis, yet it has only a fraction of the awareness and little to no funding compared to these other well-known medical issues. 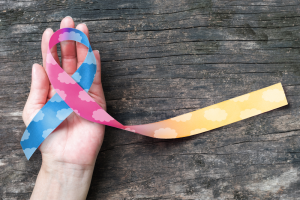 CHERUBS, a division of CDH International, will continue to raise CDH awareness worldwide by lobbying for Congenital Diaphragmatic Hernia Awareness Month (April) and Congenital Diaphragmatic Hernia Awareness Day (April 19th). CHERUBS also raises awareness through proclamations from states and towns, lighting international landmarks, speaking on behalf of the community through media, continuing the “Save the Cherubs” campaign, and working diligently to find new ways to work with other organizations and hospitals to help tell the world about the need for funding for CDH patients. 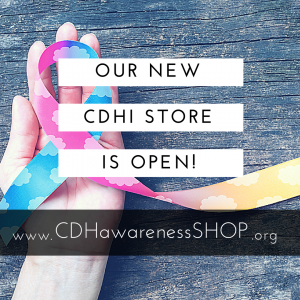 We have raised a lot of CDH Awareness over the years. 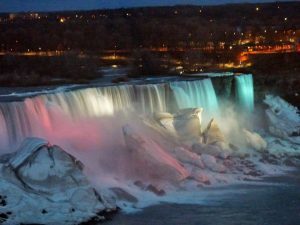 From lighting buildings and landmarks such as Niagara Falls (left) to gathering proclamations from all 50 states and the United States Senate, our team has lead the world in raising Congenital Diaphragmatic Hernia Awareness. We would love to share your special CDH story to help raise awareness of Congenital Diaphragmatic Hernia – please see any of the forms below to share your experience with us. Keep an eye on the shop, as we’ll be adding many more items over the next few weeks!